The Winter Learn to Skate season has ended. We have just learned that the ice rink will remain open this spring. Due to demand, we will be offering another session of Learn to Skate. Lessons will be Saturdays at 12-12:30. Instruction will be on April 6, 15, and May 4, 11, & 18th. Please complete application as soon as possible and return. Application can be submitted at our show on March 31st. The cost for 5 week session is $50. Please use this link if you would like to make payment online. Please contact Sara frankenfeld.sara@gmail.com with any questions or call Bart at 518 490-1231. Do you need to learn basic fundamentals to get started? Are you ready to master more challenging skating skills? Either way, our comprehensive approach on conquering individual elements gives you the skills, the knowledge, the urge to go far on the ice. And even further in life. A goal-oriented program that provides incentive and encouragement to keep skaters motivated. A personalized approach that allows skaters to progress at their own rate and advance after skill mastery is demonstrated. A curriculum that offers something for everyone from the first steps on the ice to mastering advanced techniques. Solid skill development based on the ABCs of basic athleticism—Agility, Balance, Coordination and Speed. 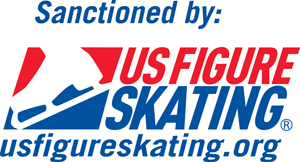 A progressive system that, upon completion of the program, allows skaters to confidently advance to more specialized areas of skating.